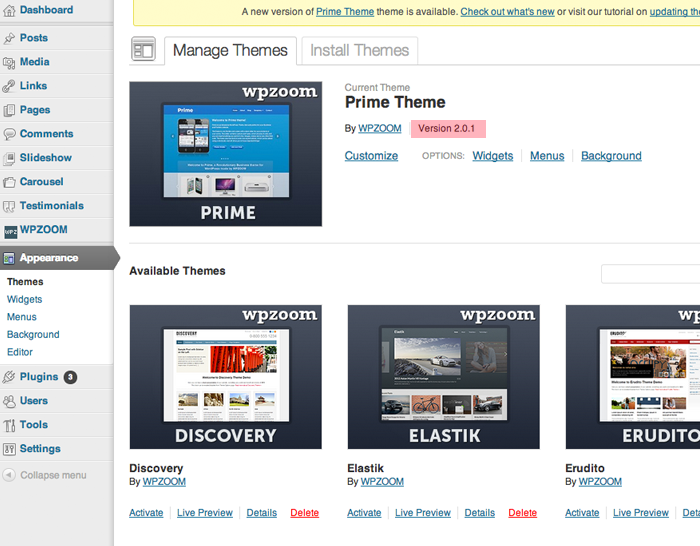 First you need to download the theme ZIP file from the link provided in your WPZOOM member area. Your browser downloaded a folder instead of a ZIP file? Some browsers like Safari automatically extract zip files after download. To download the theme as a ZIP file Right click on the download link and select “Download Linked File As“. You can also disable this feature in Safari Settings – view instructions. Got the following error message? This means that you already have a theme with the same name installed, so you you will either have to delete it or install and activate the Easy Theme and Plugin Upgrades plugin. Find more details in this article. Check the Documentation for your theme. You may find a lot of useful information and tips there. 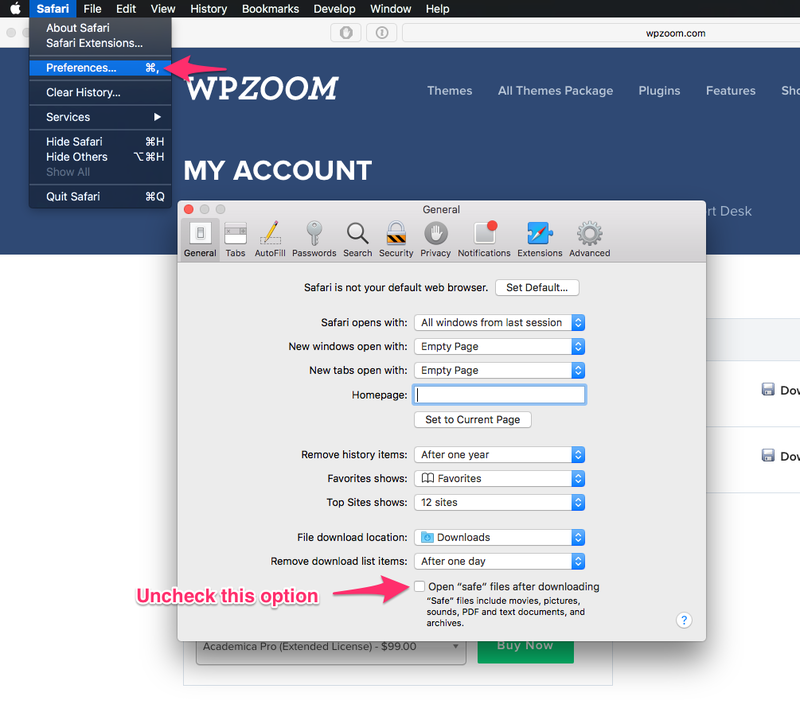 Read 10 Things to do after your WPZOOM theme install article. Need a good WordPress Hosting? Check out our WordPress Hosting recommendations.